How many times a week do you hop in the car to go someplace that’s a walkable or bikeable distance away? Or fight traffic to go somewhere that’s right on a Metro or bus route? Those trips add up — in emissions, gas, and wear and tear on the car. Even if you do it just once or twice a week, make a choice to walk, ride your bike, or take the Metro or bus. You’ll reduce your stress level and your impact on the planet. And if you take public transportation, you could catch up on your reading, play apps on your phone, or even make a new friend. Check area maps, talk to neighbors and coworkers, and view the Park’s trail maps. You’d be surprised how interconnected our County is, and that extends to our neighbors in DC and Prince George’s County. A big change is to pledge to walk, skate, or bike to any activity within a mile of your home. Not only will your choice have a positive impact on the environment, you’ll get in some exercise at the same time! 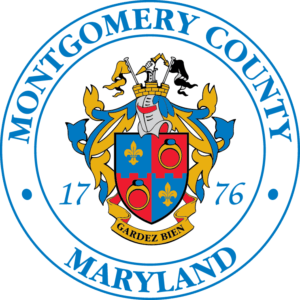 Feeling uneasy about biking in Montgomery County? Not to worry! Many of the County’s parks are linked by paved off-the-road bike, walk and jog paths, and many follow major roadways, so you can get to urban centers and business districts without pedaling down a busy road. They’re also great for adventures on the weekend. Better Ways to Work! Find all your public transit options in Montgomery County. Maps for biking or walking to work. Biking maps, news, and info from the Washington Area Bicyclist Association. Sign-up for air quality alerts from Clean Air Partners and decide which days to take mass transit or ride a bike. Still need to drive? Try carpools and van pools. Transit Benefits and Pre-Tax Payroll Deductions. Commuter Connections is a program of Metropolitan Washington Council of Governments. If you live or work in the Metropolitan Washington D.C. area, Commuter Connections can provide you with information on all your commute options, so you can make a smart choice about how you travel to work. Commuter Connections also helps employers establish commuting benefits and assistance programs, including telework/telecommute programs, for their employees. Capital Bikeshare is one of the greatest regional transportation benefits The first 30 minutes are free and hundreds of stations are installed across 6 jurisdictions. Some businesses offer financial incentives for their employees to use bikeshare.